A working and thorough continuity strategy is not just a set of protocols that are enacted when something terrible happens. It is a continually changing, fluid strategy that will allow you to sustain operations through any number of issues that have the potential to hinder your organization’s progress. 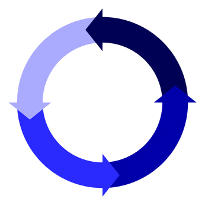 Each element of a continuity strategy is the direct result of another element, while being the cause for another. To protect the people that depend on your business, a thorough and well designed continuity plan is a must. If you are having issues with the design of your continuity plan and would like help putting together the solutions and practices you will need to ensure you are protected for the worst, call Blue Jean Networks’ knowledgeable consultants at 817-231-0222. We can help your organization protect itself from whatever the future holds.